Denise DeGarmo is a professor of international relations at Southern Illinois University Edwardsville. She was recently a faculty fellow of the Palestinian American Research Center, an affiliate of the Council of American Overseas Research Centers. The Old City is the walled area within the municipality of Jerusalem, which is divided between Palestinian (Muslim) East Jerusalem and Israeli West Jerusalem, with formal occupation of the east by the Israeli government. Although Israel has proclaimed the entirety of Jerusalem as the capitol of their state, the international community views this proclamation contentiously. Despite contested grounds, the Israeli government uses their economic and military power to systematically erase the Muslim narrative from Jerusalem – especially in the Old City. The Old City serves as a religious focal point for Muslims, Christians, and Jews alike. However, the treatment of people inhabiting each sector is predicated upon the policies of the Israeli government and the presence of Israeli Occupation Forces. For instance, the delivery of city services to the Muslim quarter is quite different from services delivered to the Jewish Quarter. 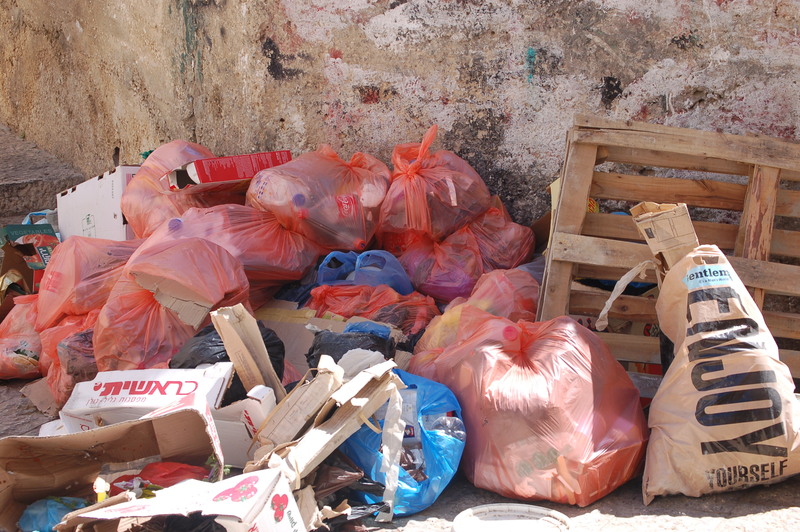 Under the Israeli-led municipal government, the Muslim Quarter does not receive regularly scheduled trash pick-up. The government then points to the slovenly nature of Muslims as a reason to prohibit them from inhabiting the Old City. The movement of Palestinian Muslims throughout Jerusalem is controlled by a permit system. If a Palestinian Muslim does not have the appropriate permit, travel to the Holy City is prohibited, thus denying entrance to the Al-Aqsa Mosque. Family members often become separated as a result of the permit system. Fewer and fewer permits are being issued to Palestinian Muslims. Because of land scarcity within the Old City walls and the quest to remove Muslims from their quarter, the Israelis demolish Palestinian homes on a weekly basis so that Jews may take possession of the land. Arabic signs throughout the Old City are being systematically replaced with Hebrew signs. Eventually there will be little to no trace of the Palestinian Muslim community within the walls of the Old City. It is no wonder that tensions run high on this contested ground. While the Israelis claim that these types of actions are meant to enhance national security, it seems to me that security is really not the issue. After all, the Israelis have guns and rockets while the Muslims have rocks. Translated from Hebrew, ‘Jerusalem’ means ‘Abode of Peace’, while in Arabic it means ‘The Holy Sanctuary’. After experiencing the Old City of Jerusalem, I can tell you: peace does not live here.